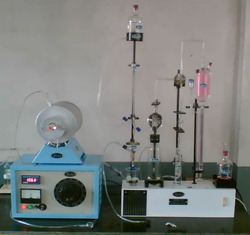 Providing you the best range of mighty lab horizontal type autoclave and cod apparatus with effective & timely delivery. 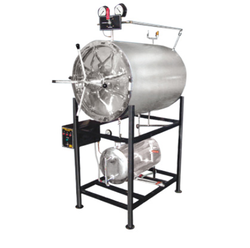 “MIGHTY INSTRUMENTS” Horizontal Type Autoclave, Suitable for any Organisation Institutes Laboratory doing bulk Sterilization and Research Work. The Unit Comprises of Mainly Double Walled Chamber and a boiler both mounted on a study, heavy mild steel stand duty finished with powder coating.